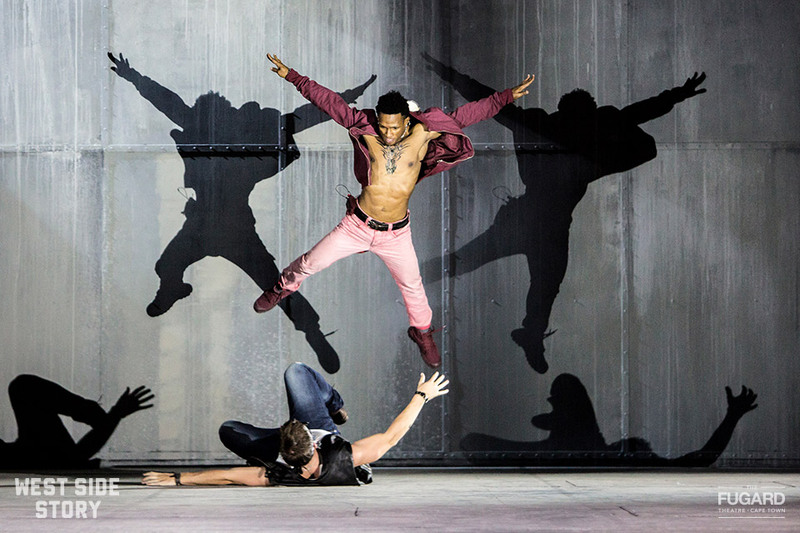 The Fugard Theatre Bioscope is very proud to announce the highly anticipated 2013 / 2014 World Opera and Ballet Season. 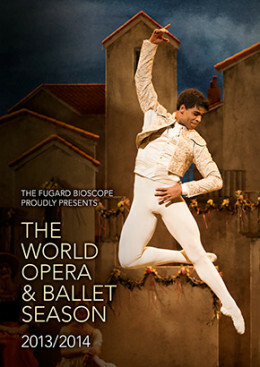 Yet again the Fugard Theatre Bioscope will partner with The Royal Opera, The Royal Ballet and the Bolshoi Ballet Companies to bring audiences the very finest in opera and ballet, from the World’s most famous stages, in full digital high-definition and surround-sound on an enormous cinema screen all in the comfort of the Fugard Theatre. 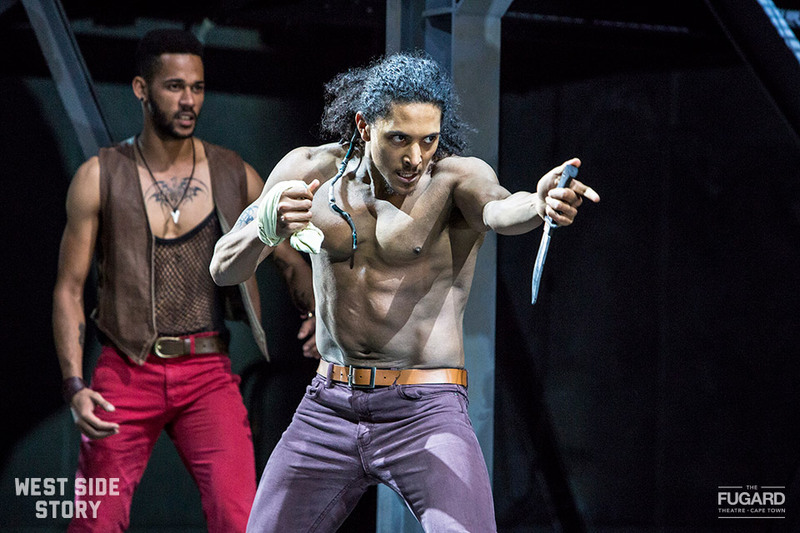 The 2013/2014 Fugard Theatre Bioscope World Opera and Ballet Season will include recorded presentations and recorded as live presentations of the most famous operas and ballets. 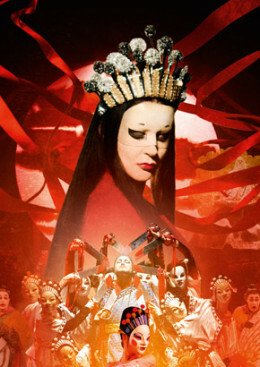 There will be Sunday morning screenings, which commence on Sunday 13 October 2013 at 11am with a brilliant Royal Opera House production of Turandot. Screened as part of the Tri Continental Film Festival 2015. For the last 20 years, notorious activists the Yes Men have staged outrageous and hilarious hoaxes to draw international attention to corporate crimes against humanity and the environment. Armed with nothing but thrift-store suits and a lack of shame, these iconoclastic revolutionaries lie their way into business events and government functions to expose the dangers of letting greed run our world. 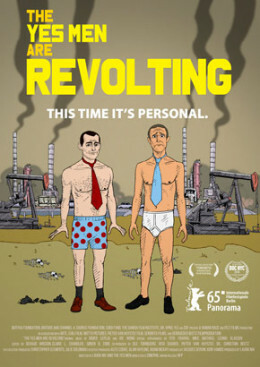 In their third cinematic outing (after The Yes Men and The Yes Men Fix the World), they are now well into their 40s, and their mid-life crises are threatening to drive them out of activism forever - even as they prepare to take on the biggest challenge they`ve ever faced: climate change. More than the first two films, The Yes Men Are Revolting is as much a character study as it is an entertaining depiction of their latest interventions. 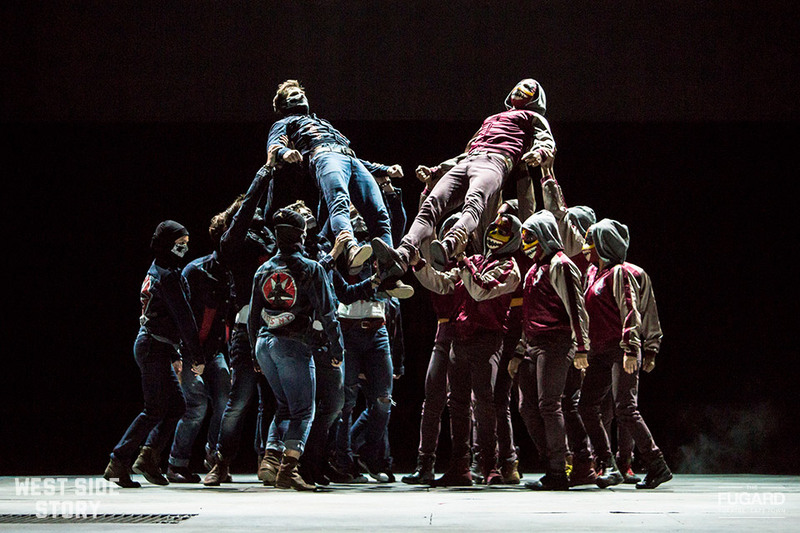 Revealing the real people behind the ruses, at its heart lies a hopeful message about fighting for change. 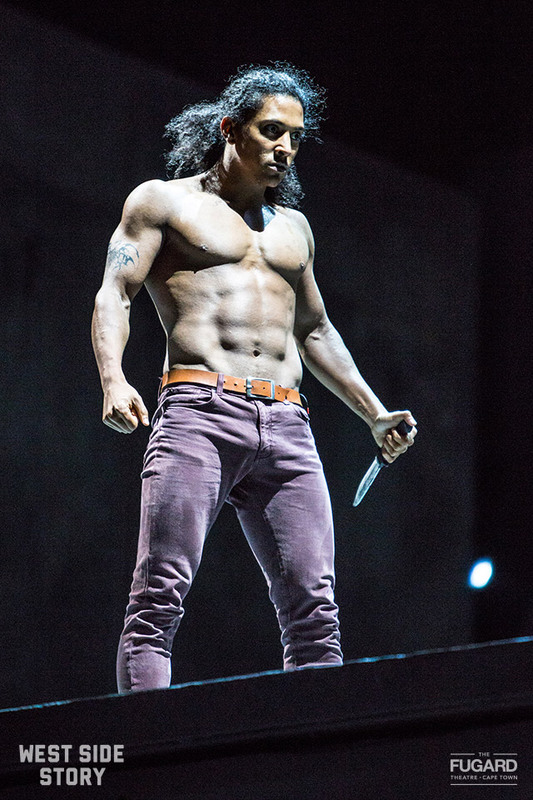 Powerful music, a gripping story and a tragic end: Puccini’s ever-popular TOSCA performed at the Royal Opera House with a fabulous cast. 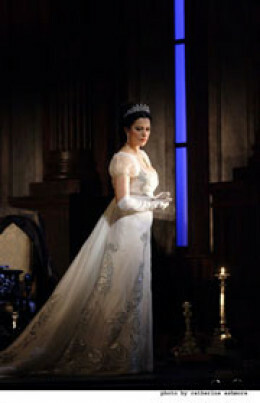 Among the star singers in this revival are Angela Gheorghiu, Jonas Kaufmann and Bryn Terfel. The Royal Opera Chorus and The Orchestra of the Royal Opera House are under the baton of Antonio Pappano, Music Director of the Royal Opera for a score that includes such great set pieces as the Act I ‘Te Deum’ and the arias ‘Vissi d’arte’ and ‘E lucevan le stelle’. Every year since its inception in 2002, the TriContinental Human Rights Film Festival has screened powerful films from South Africa and across the globe, exploring some of the most urgent local and global issues of our time. With a passion to support the fight for human rights and democracy through media, the TCFF offers stories from the bleeding edge of current social and political waves – stories that are not only relevant to our time, but skillfully told through beautiful cinema. 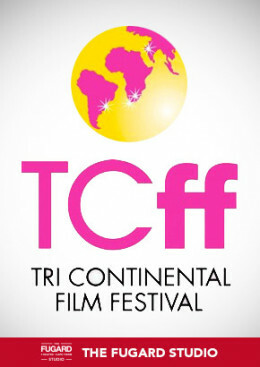 TCFF is the only festival primarily dedicated to issues of Social, Political and Human Rights on the African continent. We continue to work with Amnesty International, Human Rights Watch, Lawyers For Human Rights, the Legal Resources Centre, Greenpeace, Wits University and other organizations and institutions whose work finds itself at the heart of some urgent social and political causes. We bring films that speak to these causes and they bring discussion that speaks to effects; through these partnerships, we provide audiences a unique platform for meaningful engagement, not just with fine cinema from around the world, but with the real events, worlds, characters and issues that make our world. Our broader vision is to contribute to building a mass local audience for cinema that matters and to remain a credible platform for local and international stories from regions that are frequently marginalized in mainstream media and cinema spaces. To this end, through national partnerships with universities and community organizations we bring communities to screenings as part of our in-reach strategy and screenings to communities as part of the outreach leg of the festival. In April 2004, in Prague, TCFF took part in the launch of the Human Rights Film Network (HRFN), a federation of film festivals that screen socio-political films, including Amnesty International, Human Rights Nights (Italy) and One World (Czech Republic). 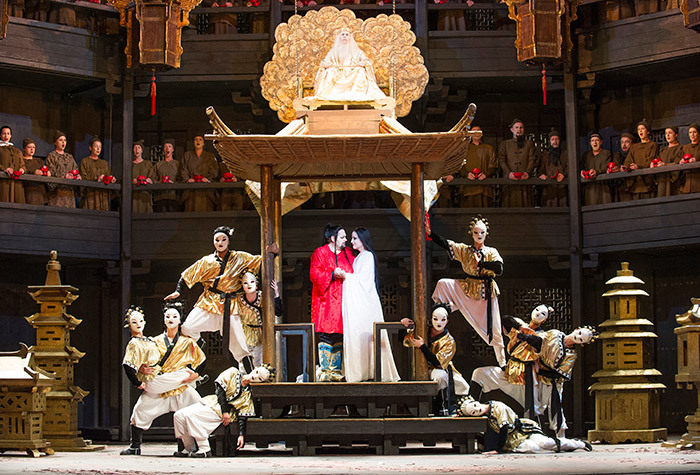 The Fugard Bioscope's World Opera and Ballet Season gets off to a dramatic start with Puccini’s musically sublime final opera Turandot – a tale of disguised identities, riddles, ritual executions and powerful, triumphant love. 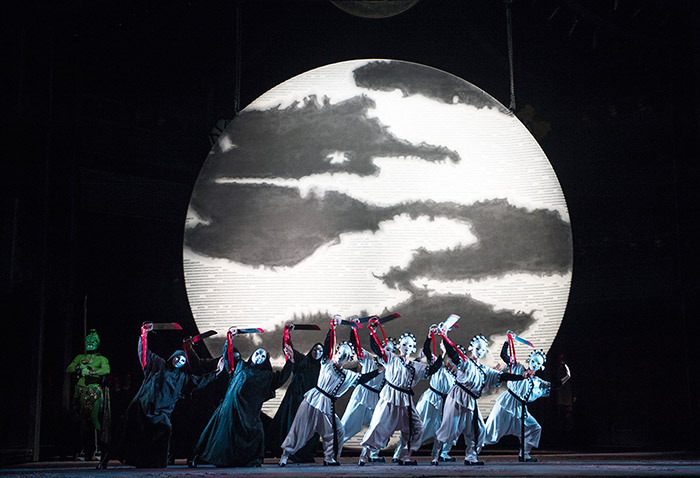 Andrei Serban’s production of this dark Oriental fairytale is spectacular, with Sally Jacobs’s magnificent sets and elaborate masks, and costumes inspired by traditional Chinese theatre. 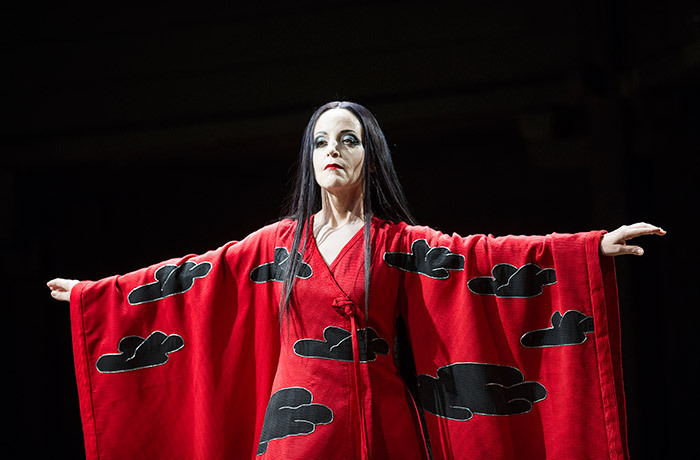 One of the greatest Turandot singers today, Lise Lindstrom, makes her Royal Opera debut, with Marco Berti, a wonderful Puccinian singer, in the role of Prince Calaf. 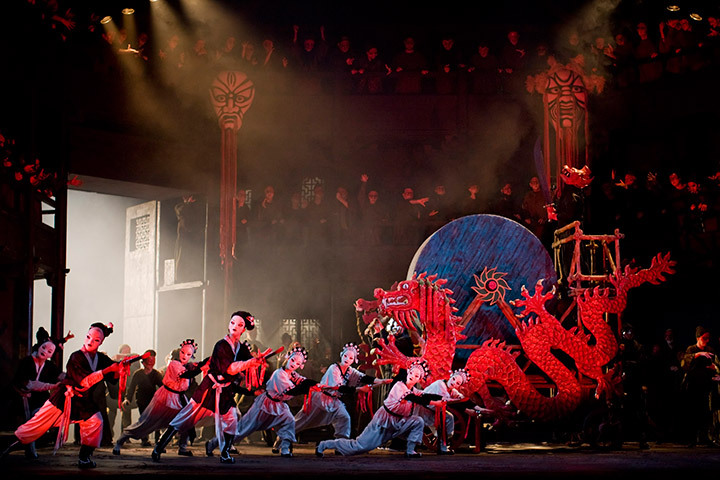 See the rest of The World Opera & Ballet Season 2013/2014 here. 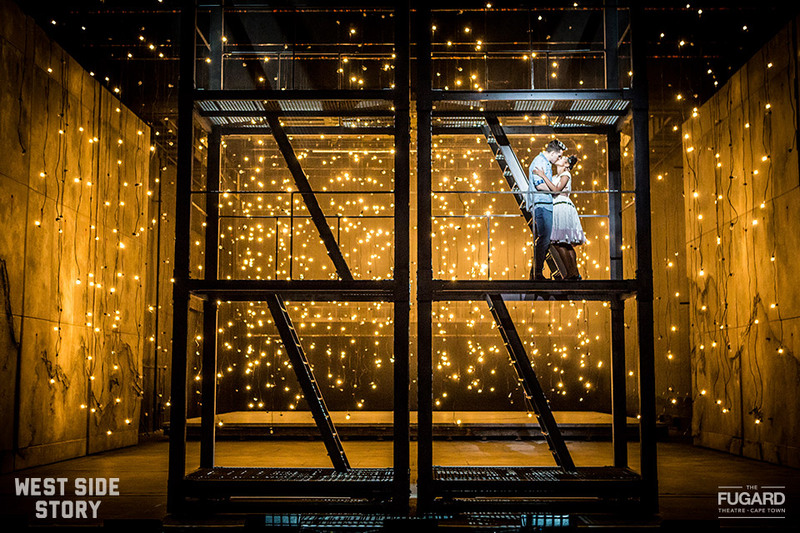 Screened as part of the Fugard Bioscope National Theatre Encore Season. 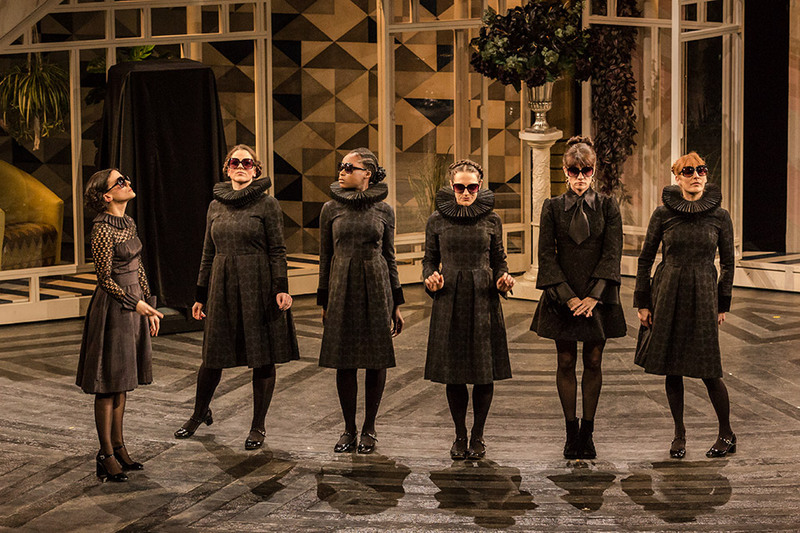 The nearby households of Olivia and Orsino are overrun with passion. Even Olivia's upright housekeeper Malvolia is swept up in the madness. Where music is the food of love, and nobody is quite what they seem, anything proves possible. 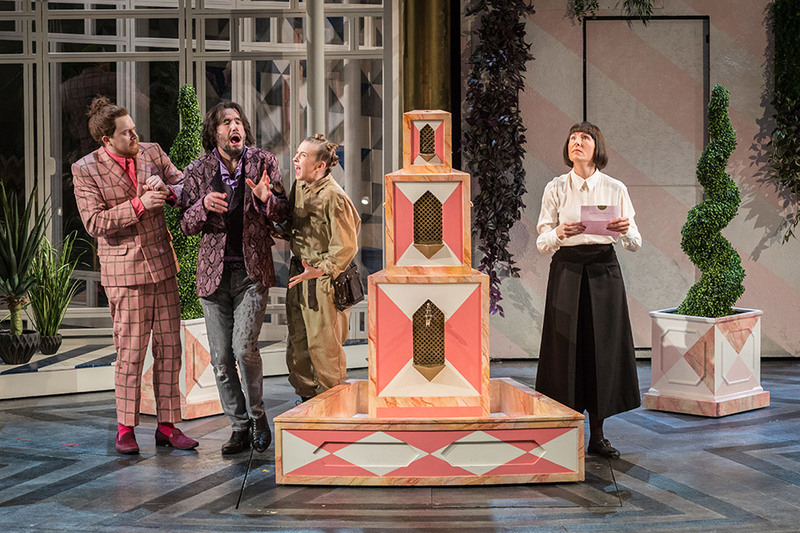 Simon Godwin (NT Live: Man and Superman, NT Live: The Beaux’ Stratagem) directs this joyous new production with Tamsin Greig (Friday Night Dinner, Black Books, Episodes) as a transformed Malvolia. an ensemble cast that includes Daniel Rigby (Flowers, Jericho), Tamara Lawrence (Undercover), Doon Mackichan (Smack the Pony) and Daniel Ezra (The Missing, Undercover). 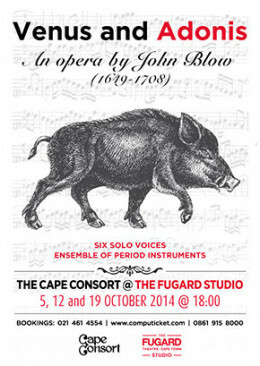 The Cape Consort returns to the Fugard with Part 4 of its Monteverdi Project. 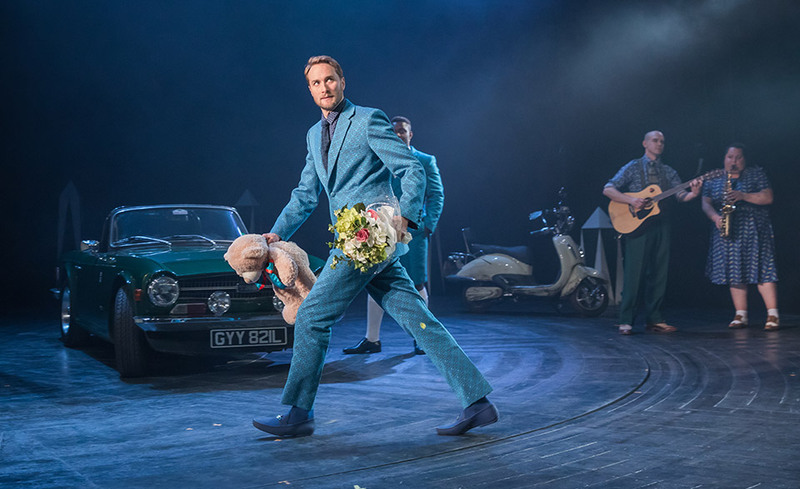 Following the success of the first three parts of the Cape Consort’s highly popular Monteverdi Project, the Consort returns to the Fugard Studio in October with Part 4 and presents the earliest surviving English opera, John Blow’s Venus and Adonis. 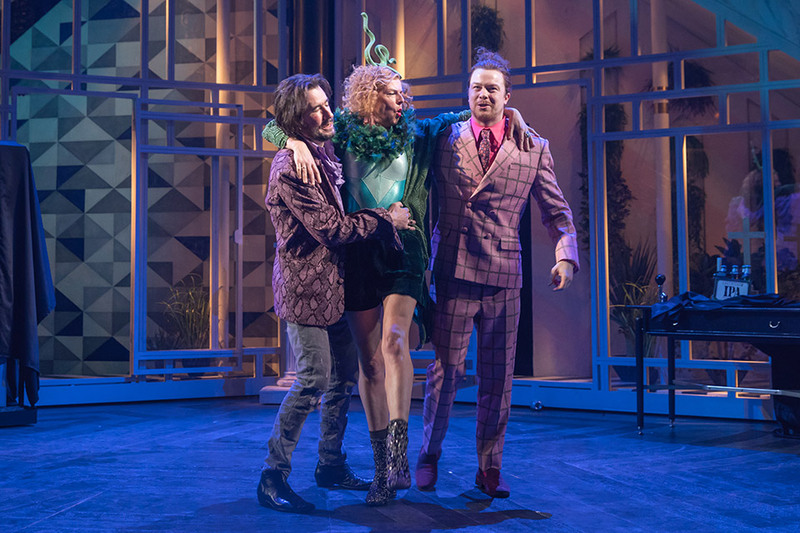 Repeat performances take place on three consecutive Sunday evenings, 5, 12 and 19 October at 6pm in the exquisite Sigrid Rausing Studio of the Fugard Theatre. A pre-concert talk will take place before each Sunday performance at 5:15pm. Venus and Adonis, the only dramatic work by John Blow (1648/9 – 1708), was composed for the court of Charles II around 1683. The part of Venus was sung by Mary (Moll) Davies, the king’s former mistress, while their illegitimate daughter, Lady Mary Tudor, sang the part of Cupid. This work served as the model for Purcell’s Dido and Aeneas. 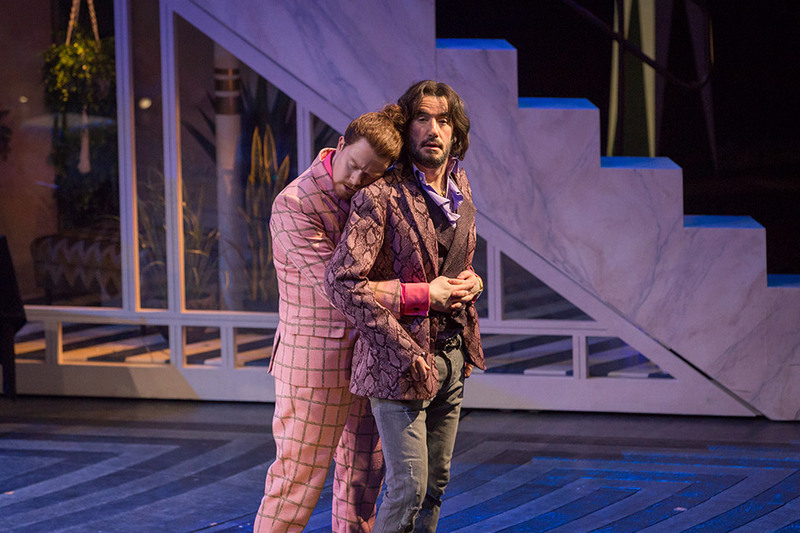 Venus and Adonis, based on the classical myth, tells the story of Venus’ affair with Adonis, and his death due to a mortal wound inflicted by an enormous boar. In an idealised pastoral setting these vivid characters deal with desire, manipulation, pride and loss. This performance of Venus and Adonis will include six voices, a 7-piece ensemble of period instruments, a narrator and text projections, and promises to be yet another of the stylish and exciting interpretations for which the Cape Consort has become known. Do not miss the opportunity to hear this rarely performed gem! 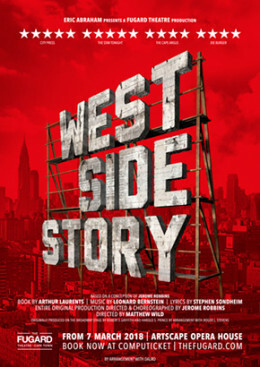 Patrons are invited to meet the musicians on the theatre’s roof-top deck after the show, where drinks will be for sale. 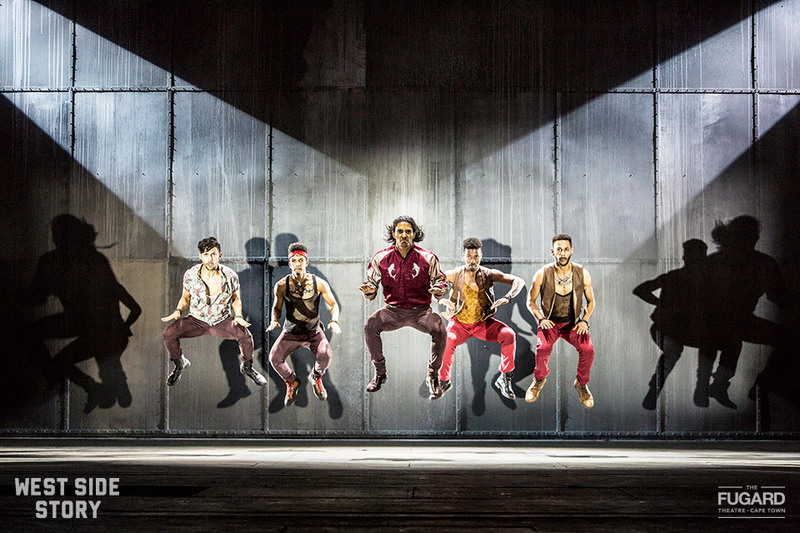 Tickets may be booked through Computicket, 0861 915 8000 or via the Fugard Theatre’s box office on 021 461 4554. 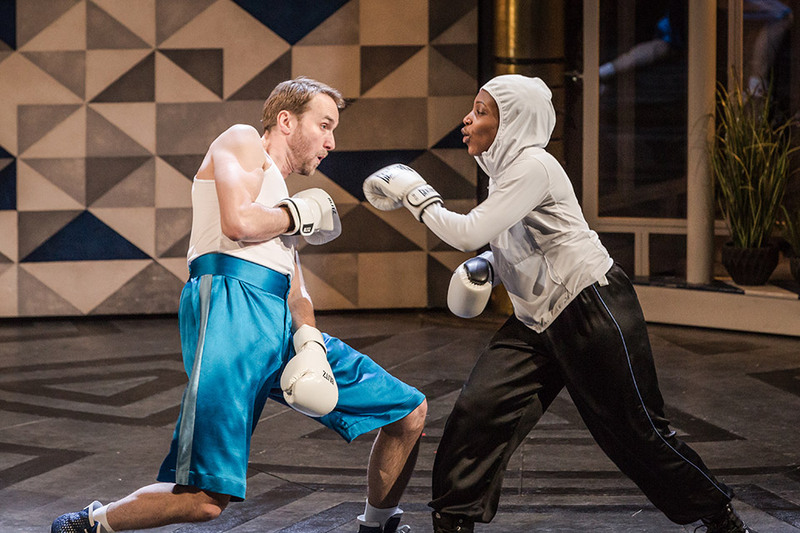 Friends of the Fugard receive discounts when booking through the theatre’s box office. Secure parking is available across the road in the Harrington Square parking lot and the Fugard bar will be open before and after each performance. The Cape Consort is a Cape Town based ensemble dedicated to stylish and historically informed performances of Early Music. Part of a wider initiative to introduce Historically Informed Performance Practice (HIPP) to South African concert stages, the Consort collaborates with international practitioners and musicologists, and also strives to connect local musicians to the debate and research in the field of HIPP. The ensemble aims to establish a regular presence on the South African concert circuit, exploring and presenting early vocal repertoire (which rarely features in local concerts) in vivid performances of works by composers such as Monteverdi, Strozzi, D'India, Caresana, Biber, Schütz, Buxtehude, Purcell, the Bach family, and many other less familiar names. In line with current trends in early music circles, the Consort translates and re-contextualises ancient musical expressions into vibrant and credibly contemporary articulations. 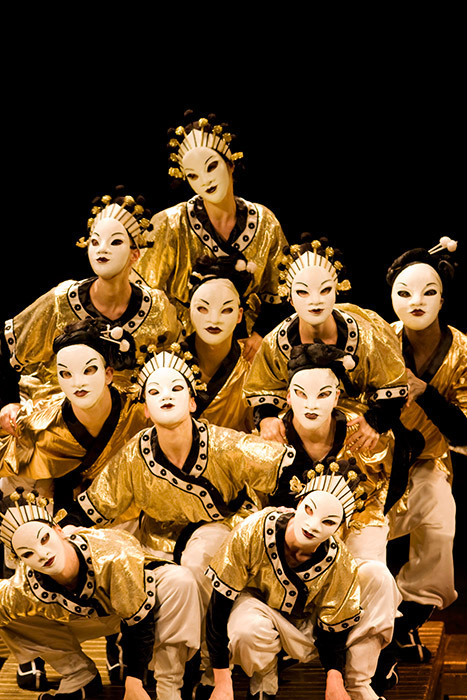 Conceived as a flexible group, the consort adapts its forces to the requirements of the repertoire. 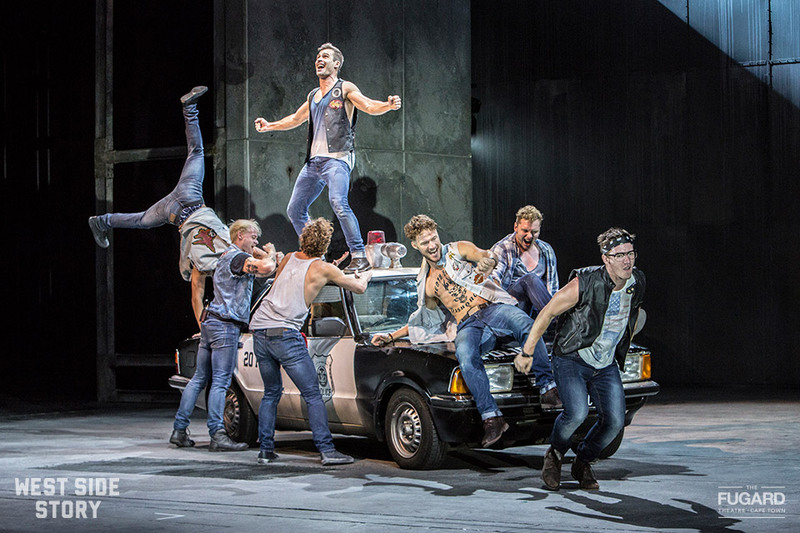 The regular singers are Lente Louw and Antoinette Blyth (sopranos), Nick de Jager, Lance Phillip, and Willem Bester (tenors), and Charles Ainslie (bass-baritone). Erik Dippenaar (harpsichord/organ) and Hans Huyssen (Baroque cello) form the core basso continuo group. Period instruments such as viols, violins, viols, lute, theorbo, and percussion join forces as the repertoire requires. In 2011, the Cape Consort performed Monteverdi's six-part Vespers in a series of concerts, as well as an all Purcell programme in collaboration with the Cape Town Consort of Viols. Concerts with visiting artists, such as the renowned Dutch Baroque violinist Antoinette Lohmann and the soprano Mandie de Villiers-Schutte were also presented. The Cape Consort has appeared at the Klein Karoo Klassique in Oudtshoorn, the Odeion Musik Fest in Bloemfontein, GIPCA’s Infecting the City Festival in Cape Town, Oude Libertas in Stellenbosch, the Cape Town Concert Series at the Baxter Theatre and Cultivaria in Paarl. Its performance at the Stellenbosch Woordfees in 2012 was awarded with the Woordtrofee for ‘best classical music production’, a KykNet Fiësta nomination and a return invitation to the Endler concert series in 2013. 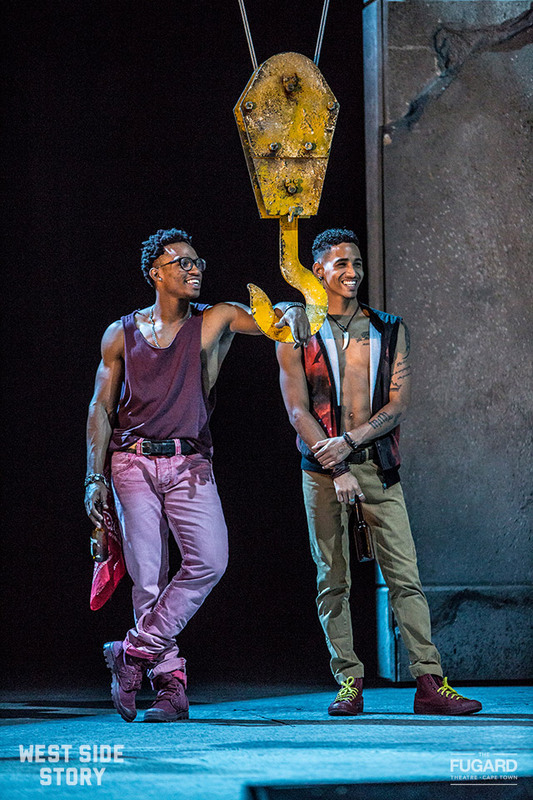 In February 2012, the group launched the first part of its Monteverdi Project at the Fugard Theatre in Cape Town. The gripping renditions of Monteverdi madrigals (supported by synchronised and animated projections of text translations) which ran for a series of sold-out performance and resulted in an invitation to establish a regular presence at the Fugard, is documented on the ensemble's first CD: Claudio Monteverdi Selected Madgrigals (www.mucavi.com/Madrigals.html). The Monteverdi Project is ongoing and 2014 will see Part 4 – John Blow’s Venus and Adonis. Vigil brings together three multiple award-winning South African theatre luminaries for a season at the Fugard Studio Theatre in Cape Town, following the play’s Premiere on the Main Programme at this year’s Grahamstown National Arts Festival. 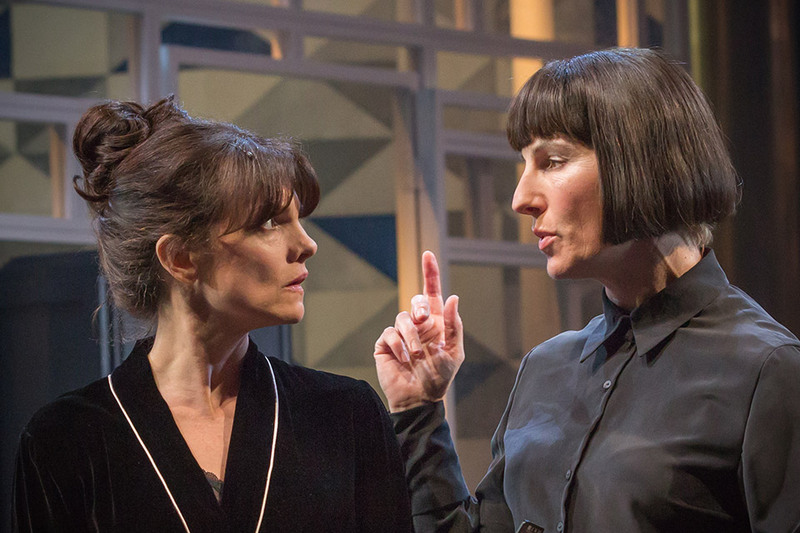 Starring Graham Hopkins as Kemp and Vanessa Cooke as Grace, this brilliant black comedy is directed by Fleur du Cap Life-Time Achievement Award-Winner, Christopher Weare. 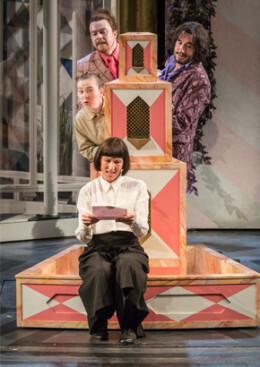 The set and costumes are designed by Julia Anastasopolous. Cape Town actors and producers, Susan Danford and Stephen Jennings proposed Vigil to The Grahamstown National Arts Festival for their 2013 season, and were thrilled to have it invited to be part of this year’s Main Festival Programme. 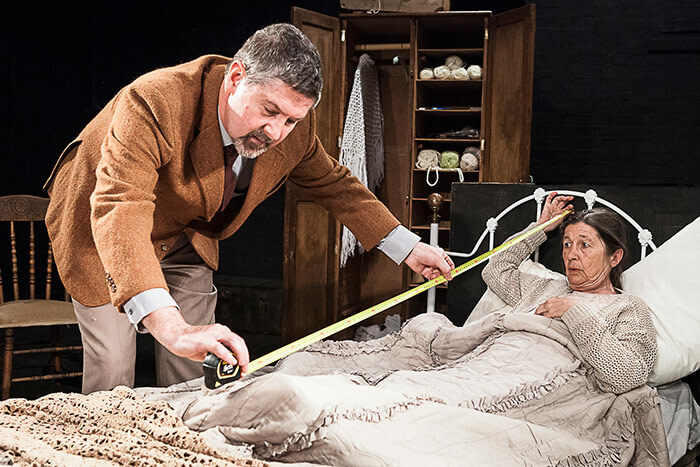 Along with Vigil actor and fellow producer Graham Hopkins, they are now presenting it, direct from its Grahamstown premiere, at the Fugard Studio Theatre from mid-July. Thereafter, it moves to the Hilton Arts Festival. 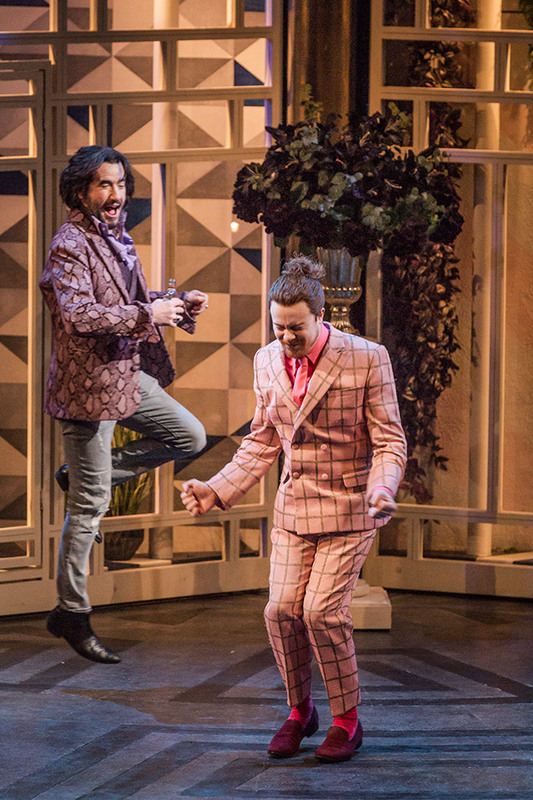 Susan and Stephen were last seen on the Fugard boards with Sir Anthony Sher in the sold out season of Arthur Miller’s Broken Glass that earned Susan a Fleur du Cap Best Actress nomination. 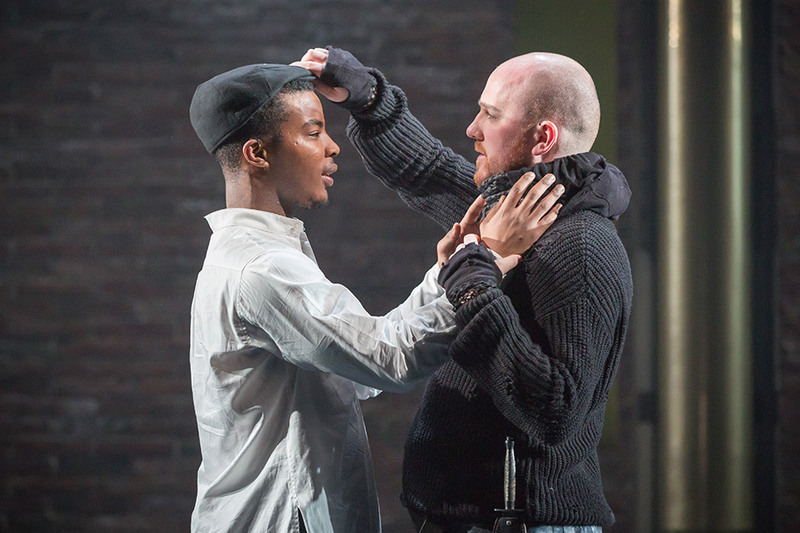 Since winning the Jessie Richardson Award for “Outstanding Original Play” this universally-embraced work, by Morris Panych, has gone on to be translated into 19 languages, and been performed in theatres from London’s West End to Tokyo, from Paris to New York. 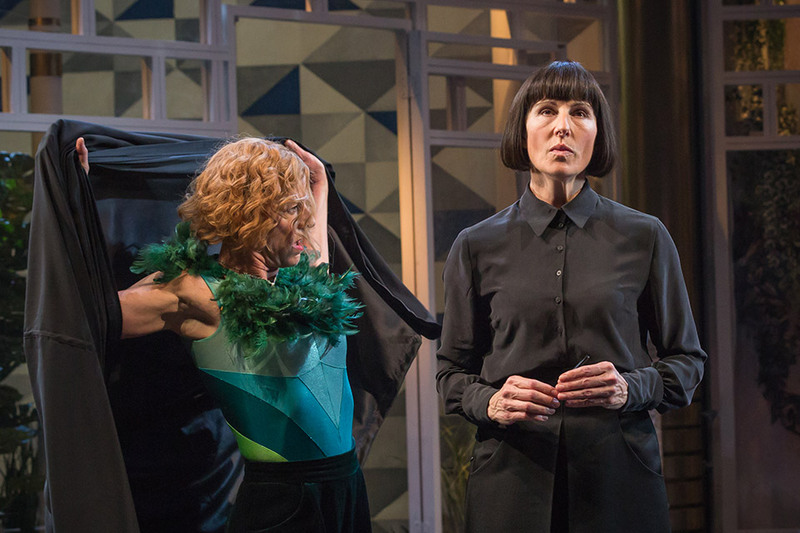 Hopkins’ Kemp is "a self professed neurotic”, a hilariously self-centred and shallow person who finds himself, through his own errors and inattentiveness, in a life-and-death situation with profound and far-reaching consequences. 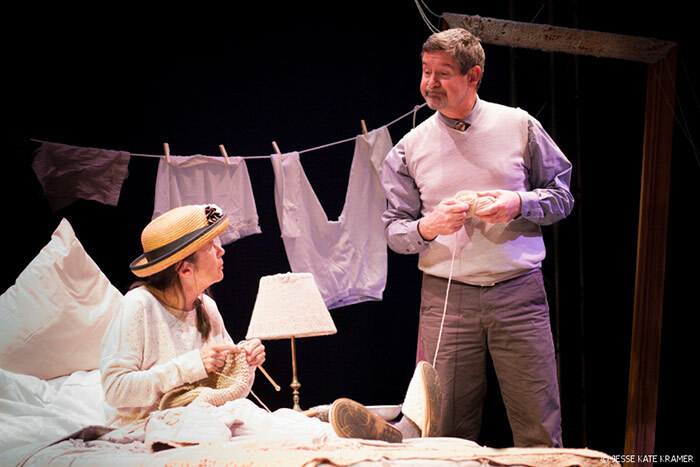 Cooke’s Grace is the aging aunt he has travelled cross-country to be with on her death-bed. But Kemp’s bedside manner leaves a lot to be desired: “I am concerned about your health these past few days. It seems to be improving.” Kemp. 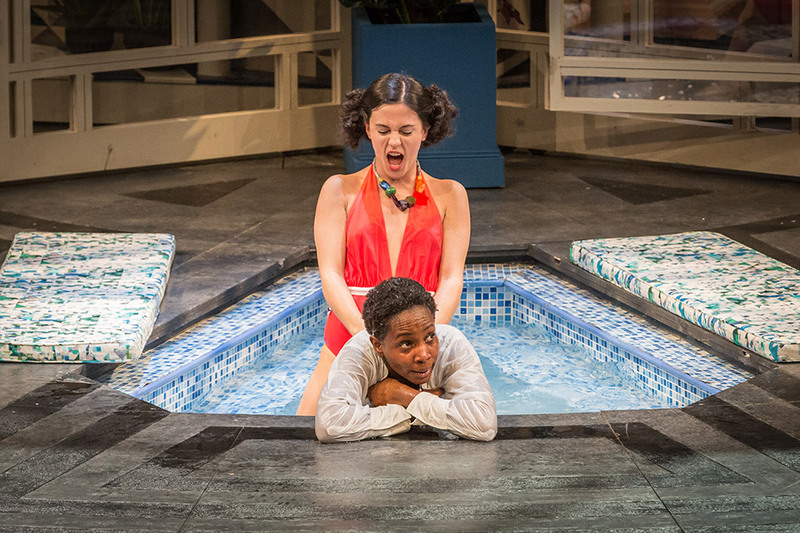 It’s a play of twisted circumstance and surprising turns, it is deliciously absurd, incredibly funny, and poignantly tender, and with a twist that will keep you on the edge of your seat. The humour is wicked, the observations sharp, the writing crisp and cutting, “a small masterpiece” (Globe and Mail). Morris Panych’s work is well known internationally and his plays have been performed to sold-out houses in the United States, Great Britain, Europe and Canada, where his work is always in demand. 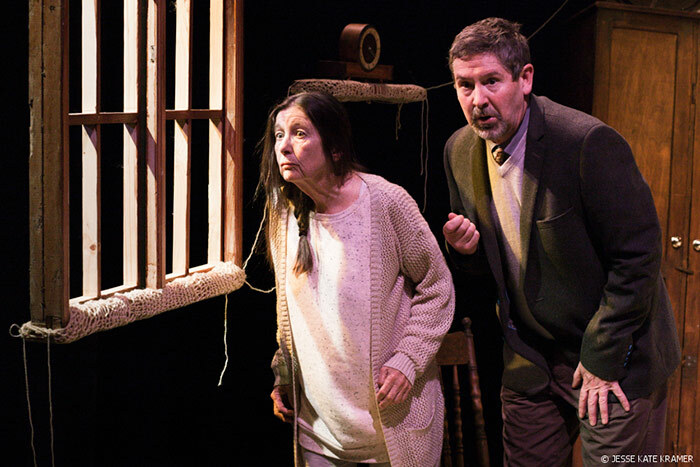 Both an award-winning author and director, Panych’s feel for the theatre comes from his own love of the acting profession; he has been a distinguished actor for decades, having appeared in more than fifty productions. Panych is a two time winner of the Canadian Governor-General’s Award. 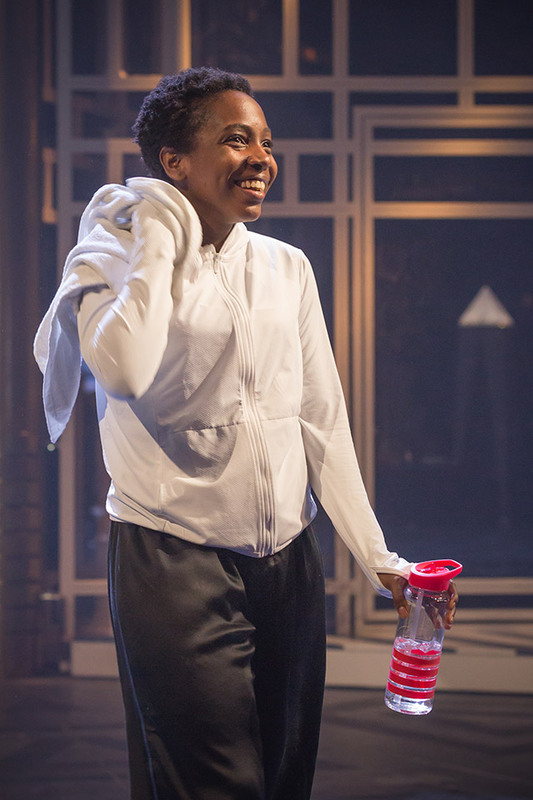 Vigil’s incisive script has previously attracted actors of the calibre of Tony Award-winning Brent Carver and Oscar award-winning Olympia Dukakis. Its genius lies in its universality. In all of Panych’s writing he has striven not to locate his plays in a particular place or time. Responding to the question of why he thought Vigil has had such a long and international life, Panych commented: “the play addresses key issues many people face on a daily basis.” People everywhere deal with issues around the extended family, and taking care of the elderly, and Panych knows: “There isn’t a single person sitting in this theatre who won’t fundamentally understand (the) situation.. Every time there is a new production in another country, in another language, I think, “Wow, it’s being done in Tokyo”. 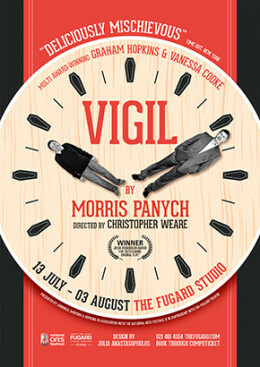 Vigil runs at the National Arts Festival from 5 to 7 July at the Victoria Theatre, and at the Fugard Studio Theatre in Cape Town from 13 July to 3 August 2013. 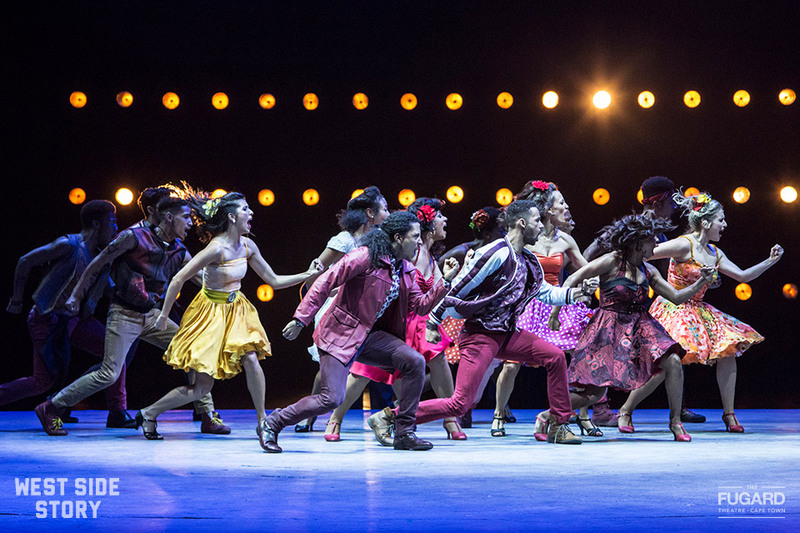 Performances are nightly at 8pm with matinees on Saturdays at 4pm. Tickets from R120 to R160 via Computicket or 0214614554. 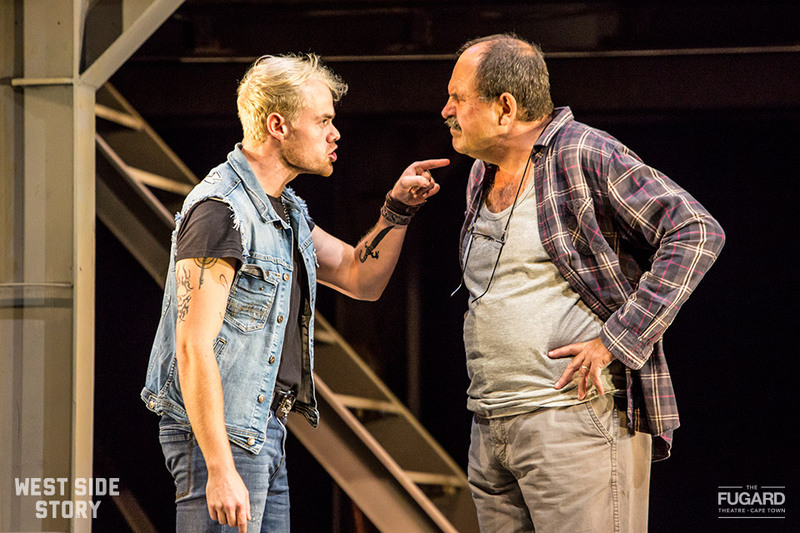 Special discounts are available for the Friends of the Fugard. One of South Africa's most unique events, the Voorkamerfest, returns to the West Coast town of Darling after a two-year break, from Friday 31 August to Sunday 2 September 2018, presented for the first time in association with the Fugard Theatre. 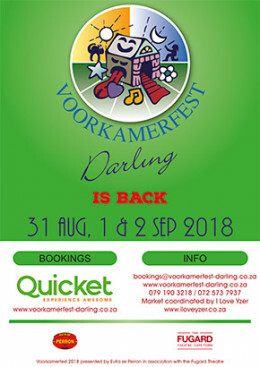 The Voorkamerfest takes place during the first weekend of spring in one of the Western Cape's most beautiful regions in the quaint town of Darling that is also home to South Africa's Most Famous White Woman, Tannie Evita Bezuidenhout. 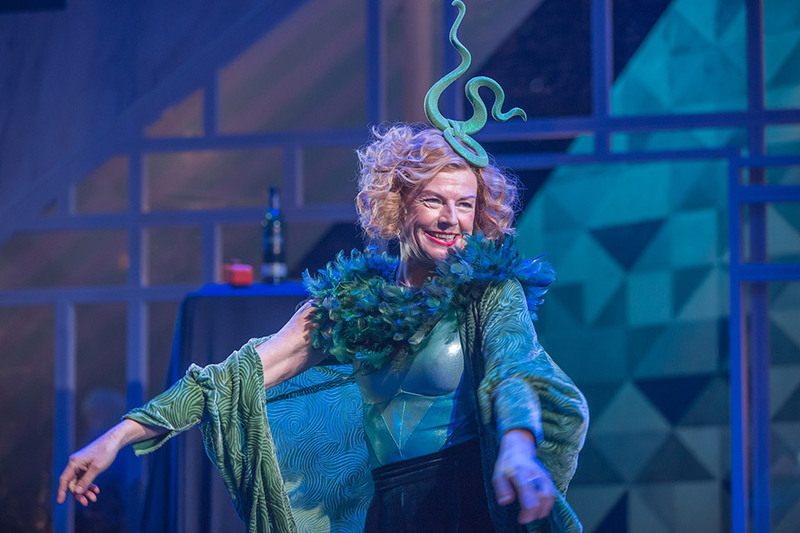 The event, produced by Tasha Reid and co-produced by Antoinette van Heerden, was founded in 2004 by Inge Bos and Wim Visser, supported by founding sponsor Stichting Doen (NL) with the help of Pieter-Dirk Uys, the residents of Darling and various local businesses. 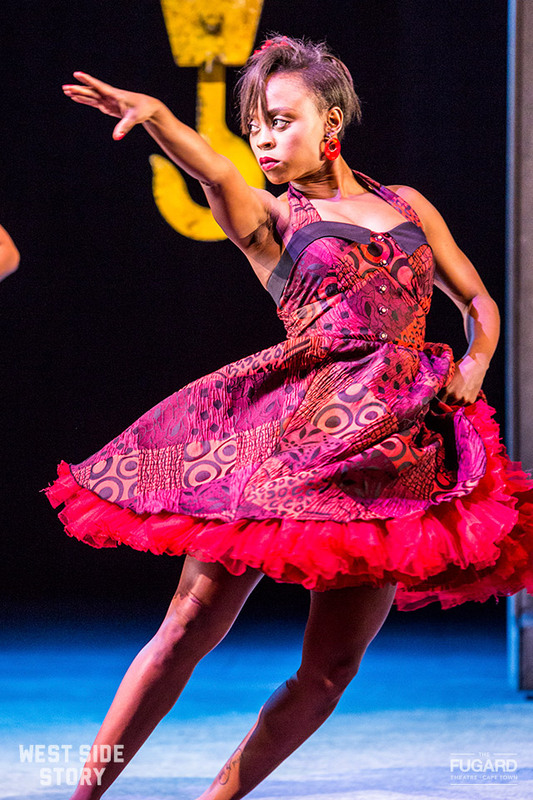 2018 marks the 13th festival, a vibrant multiple genre showcase of cross cultural theatre, music, dance and comedy, performed by South African and international artists. In previous years, the Voorkamerfest has hosted performers from the UK, Holland, Belgium, France, Surinam, India, Zimbabwe, Angola, Algeria, Canada, and Switzerland. This year, audiences can look forward to performances by several talented companies, ensembles and individuals, such as Jazzart, Nylon Dance Company, Jitsvinger and The Buckfever Underground. What sets this festival apart is that audiences don't know exactly which shows they'll be seeing until they are seated in the front rooms (voorkamers) of homes spread throughout the community. 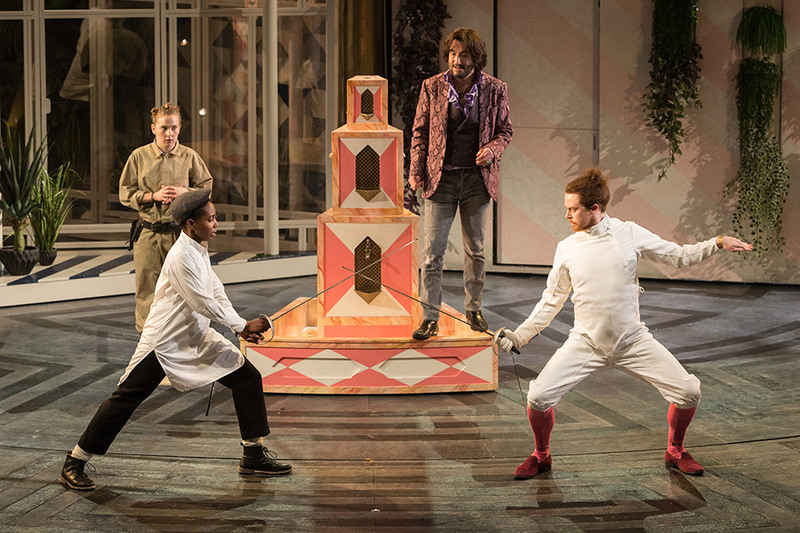 There are seven colour-coded routes from which to choose, each offering three shows in three houses. Minibus taxis ferry patrons from Evita se Perron to venues that range from grand old Cape Dutch manors to RDP houses, where local hosts receive visitors a warm Darling welcome. Evita se Perron forms the festival hub with a daily outdoor market co-ordinated by I love Yzer, offering local crafts and fare. An open air concert in Darling East brings the festival to a fitting close on the final day and is free for all. 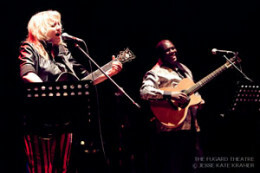 Karen Zoid recently completed her nationwide "Afrikaners is Plesierig" 10 year Anniversary tour, while Vusi Mahlasela will undertake his 20 year "When you come back" Anniversary tour in 2012. The two musical greats appeared in concert together to emphasise the integration of South African people through combining their music and audiences, revealing a soulful expression and celebration of our rainbow nation. 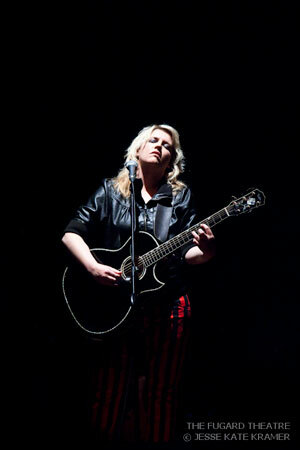 Karen Zoid, with a career span of over a decade, has earned numerous accolades, including gold album sales and SAMA awards. She has shared the stage with international acts like John Mayer, Annie Lennox, Metallica, Simple Plan, Hothouse Flowers, Seal and UB40. The release in 2002 of her first solo album, “Poles Apart” fired the imagination of both critics and the public when she burst onto the scene with the song “Afrikaners is Plesierig”. The song became iconic and Zoid became South Africa's queen of rock. Over the years fans were introduced to songs like Beautiful, Deurmekaar and Ons soek rock & roll. In 2005, Small Room became one of the biggest songs playlisted on radio, while Aeroplane Jane became the most requested song over the past three years. In November 2010, Karen released her latest studio album “*Terms & Conditions”, to great acclaim. Vusi Mahlasela, is simply known as ‘The Voice’ to many in South Africa. Born, raised and still residing in the Mamelodi Township, this singer, songwriter, poet and activist released his popular debut album “When You Come Back” in 1992 and was asked to perform at Nelson Mandela’s inauguration in 1994. Vusi Mahlasela has successfully followed his muse, releasing eight albums over the past two decades, notching up gold and platinum status, as well as several SAMA awards. Celebrated for his distinct, powerful voice and his poetic, optimistic lyrics, his sound is a hybrid of folk, world, blues and soul. Today, Mahlasela is a national treasure and an international star, which has come to the attention of American audiences through his contract with the ATO Records label of long-time admirer and fellow South African, Dave Matthews. Having released his latest studio album “Say Africa” in November 2010, Mahlasela also recently performed with Paul Simon for a week of shows in New York, toured with banjoist Bela Fleck and comes to the Fugard Theatre fresh off a tour with folk sensation Ray Lamontagne. In late 2010 Vusi ‘The Voice’ Mahlasela returned with an acclaimed new album that’s a fitting reminder of everything fans around the world have come to treasure about this award-winning South African artist. Mahlasela’s gift for conveying socially conscious messages in a way that’s never strident is again on great display on ‘Say Africa’. For Mahlasela, the joy is always in the creation of songs that will be timeless and live intensely with people. 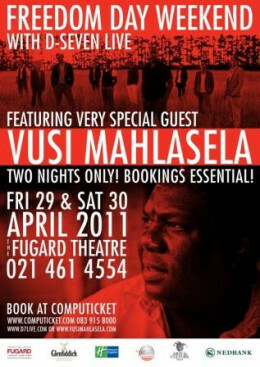 Vusi Mahlasela performed live and exclusively at The Fugard Theatre for two nights only, along with the vocal a’capella group D-seven. 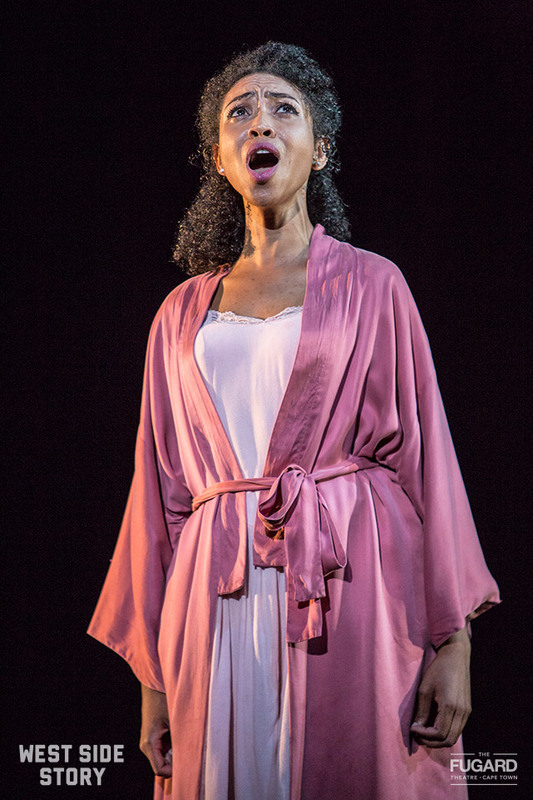 The exceptional Lynelle Kenned (Orpheus in Africa, Blood Brothers, Showboat) will reprise the role of Maria for which she won the Fleur du Cap for Best Actress in a Musical in 2016. 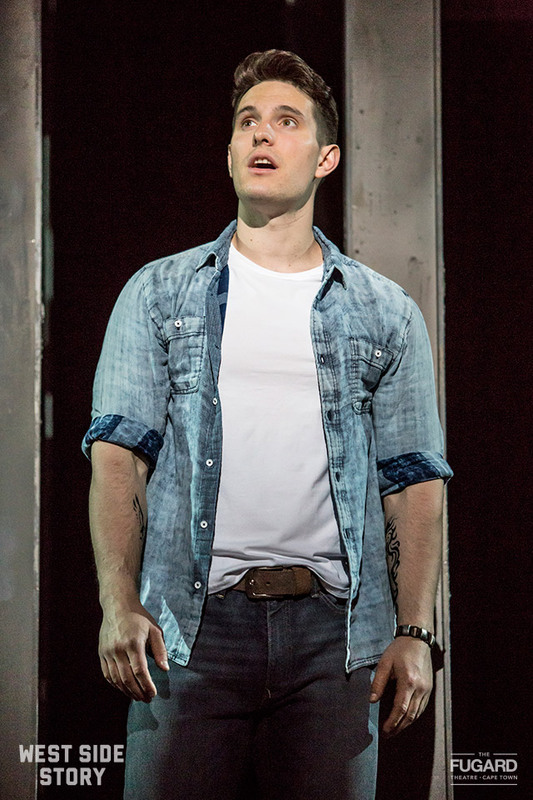 Tony, will be played by US-born actor Kevin Hack who has performed the role almost 400 times and recently completed the international tour playing the role in the 60th anniversary international tour of Michael Brenner's production of West Side Story. 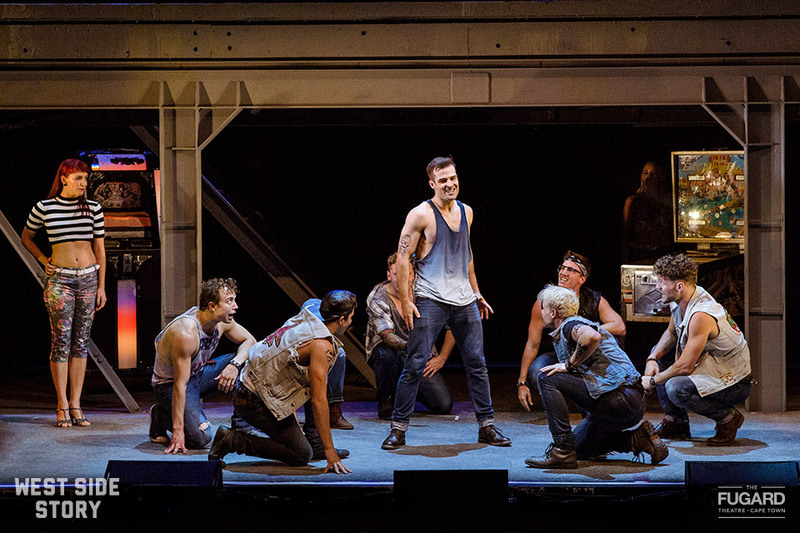 His other hit show credits include Les Miserables, Sweeney Todd, Catch Me If You Can: The Musical and The Civil War. 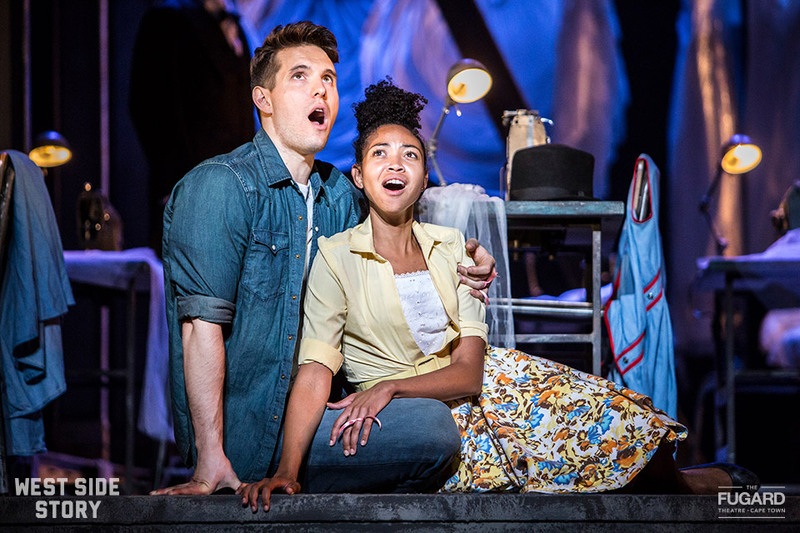 Other principal cast members reprising their roles are Bianca Le Grange as Anita (Blood Brothers, Joseph and the Amazing Technicolour Dreamcoat), Stephen Jubber as Riff, leader of the Jets gang (Aunty Merle the Musical, Annie, Mamma Mia!) 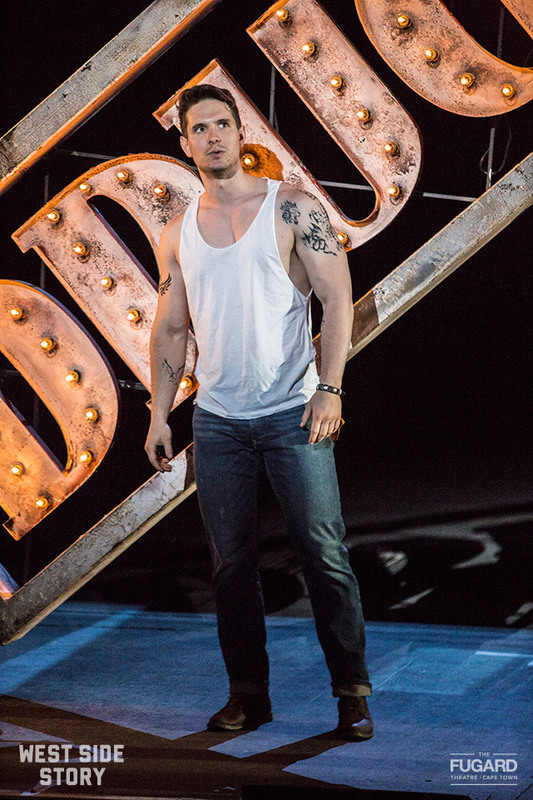 and Sven-Eric Müller as Diesel (Funny Girl, Cabaret). 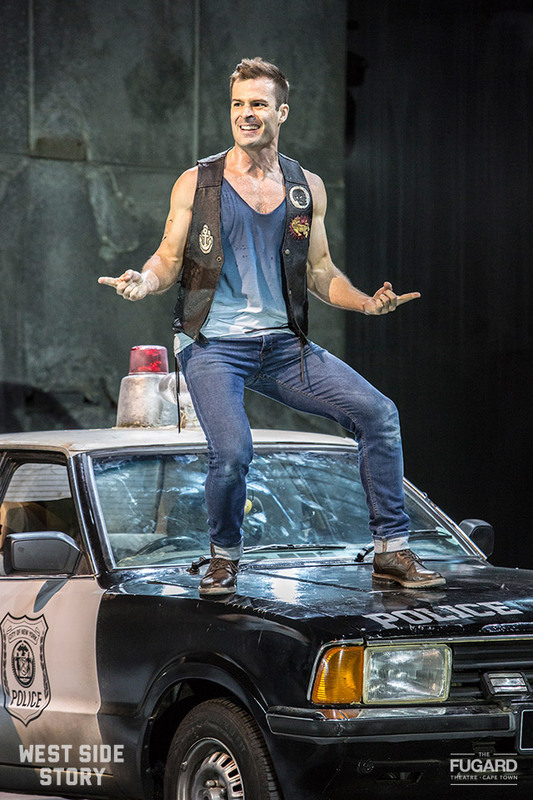 Craig Urbani (Rock of Ages, Sound of Music, Isidingo) returns as Shrank, the role he performed in the Johannesburg season, with Richard Lothian (The Play That Goes Wrong) once again playing Officer Krupke. 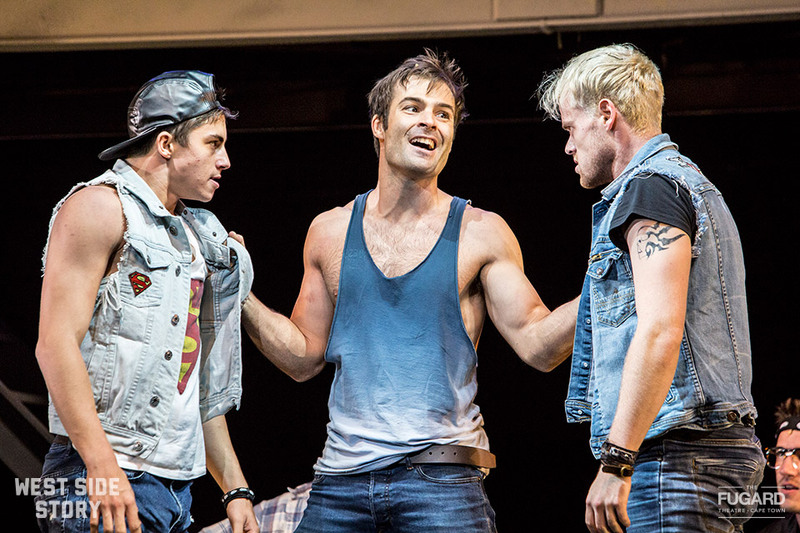 Daniel Richards (Aunty Merle the Musical, State Fracture, Pay Back the Curry) re-joins the cast as Bernardo and James Borthwick (Priscilla Queen of the Desert, Rhythm City, Evita) will take the role of Doc. Michael Fullard (Priscilla Queen of the Desert), Jonathan Raath (Priscilla Queen of the Desert), Cameron Botha (Funny Girl, Pinocchio, Sweeney Todd), Benton-Steele Botes (69 For your (Adult) Eyes Only), Lee van der Merwe (Immortal), Gemma Trehearn (Sacred Space), Michèle Trobe (Funny Girl), Jenna Robinson-Child (Cabaret), Brittané van Loggerenberg (A Spartacus of Africa), Clint Lesch (Calling Me Home), Duane Williams (7de Laan), Thami Njoko (Honey 3: Dare To Dance), Shaun Oelf (Fishers of Hope), Tevin Wiener (Honey 3: Dare to Dance), Nurit Graff (Saturday Night Fever), Claire Boswell (Singin’ in the Rain), Hardy Keeve (4) and Kirsten Murphy Rossiter (Peter Pan), Chloe Perling (Cabaret), Kirsty Ndawo (Chicago), Ernestine Stuurman (Tiger Bay), Sarah-Ann van der Merwe (Pinocchio), Julio Jantjies (A Spartacus of Africa), Logan Timbre (Priscilla Queen of the Desert) and Lesego van Niekerk (African Footprint) complete the talented cast. 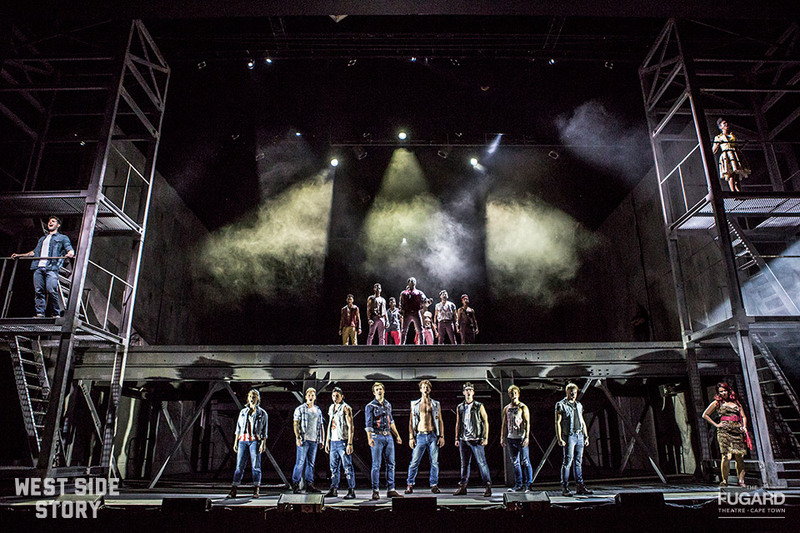 West Side Story, a production by Eric Abraham and the Fugard Theatre, exploded on to the Cape Town stage in the winter of 2015 and due to overwhelming demand will return to the Artscape stage for one final season in South Africa. 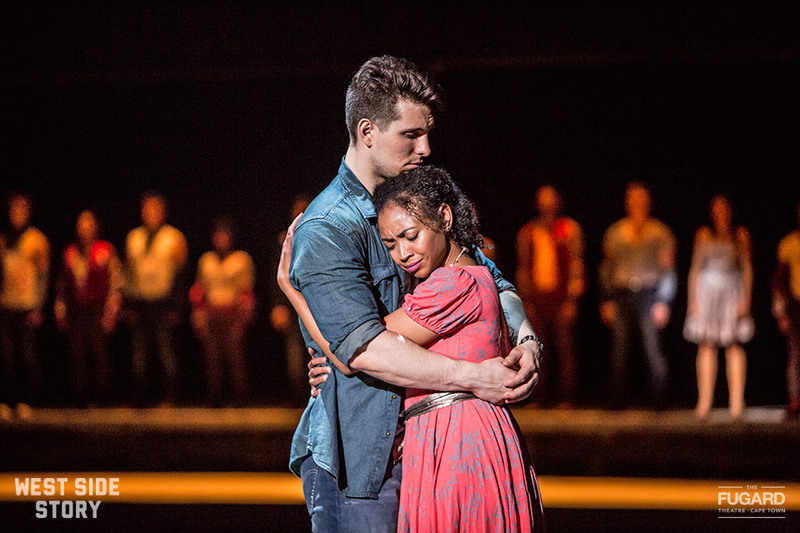 The grand-scale musical, known globally for an unforgettable score that marries stirring music by Leonard Bernstein and lyrics by Stephen Sondheim, retells William Shakespeare’s Romeo and Juliet and is set in New York City's Upper West Side in the late 1950s. 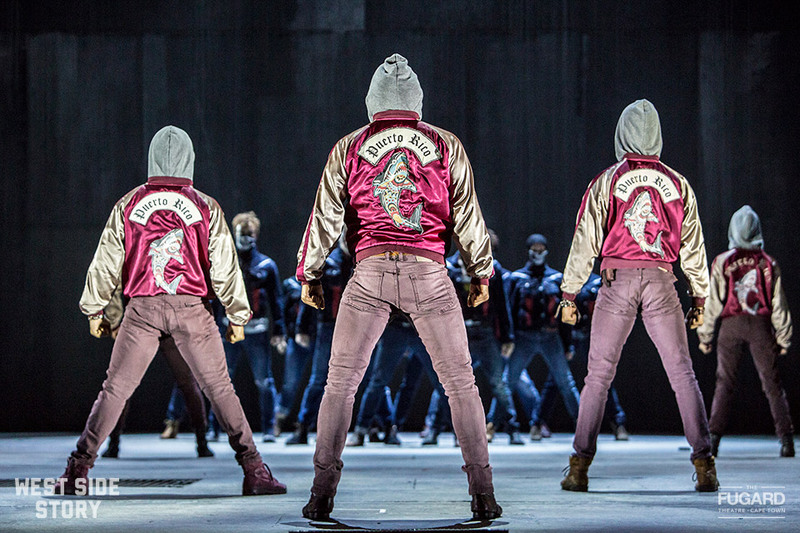 It follows the heart breaking, short-lived love story of two young and idealistic lovers, Tony and Maria, who are caught between two warring street gangs, the Jets and the Sharks. 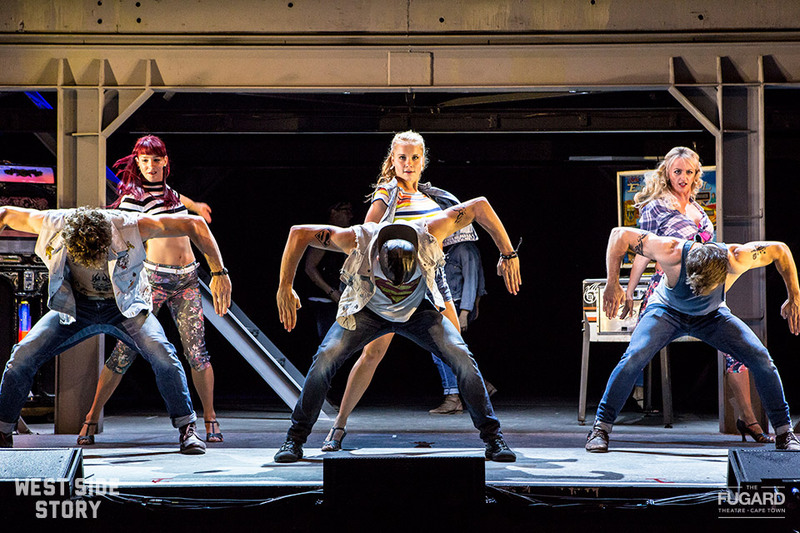 The extended dynamic dance scenes and iconic songs such as "Something's Coming", "Maria", "I Feel Pretty" and “Tonight”, all set to Bernstein’s magnificent score, make for riveting theatre. 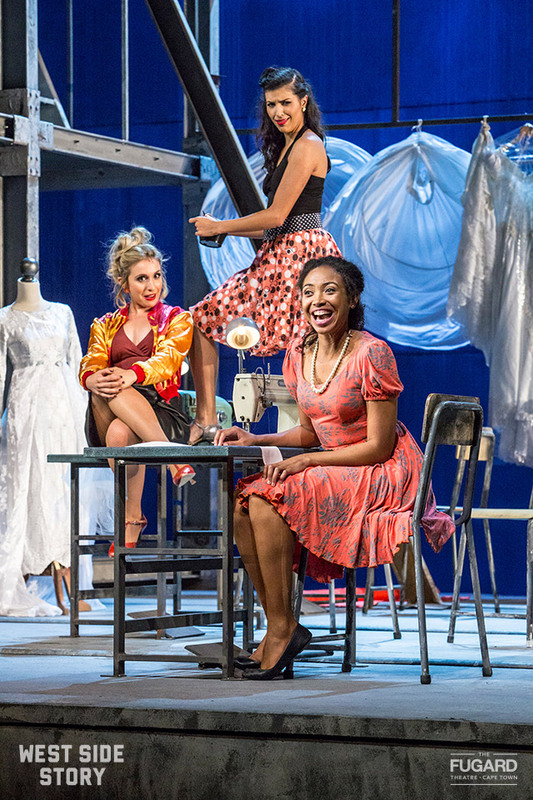 The Fugard Theatre’s West Side Story brings together the same award-winning core creative team behind other superb Fugard Theatre productions The Rocky Horror Show, Cabaret and Funny Girl. 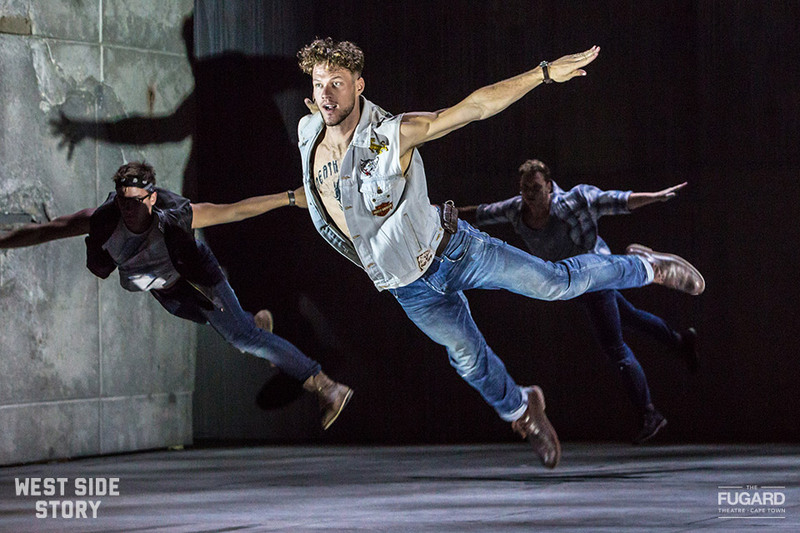 Matthew Wild is director, Charl-Johan Lingenfelder is musical director and conductor, and Louisa Talbot is the choreographer, with Grant van Ster (Calling me Home, Aunty Merle the Musical) as Resident Choreographer. 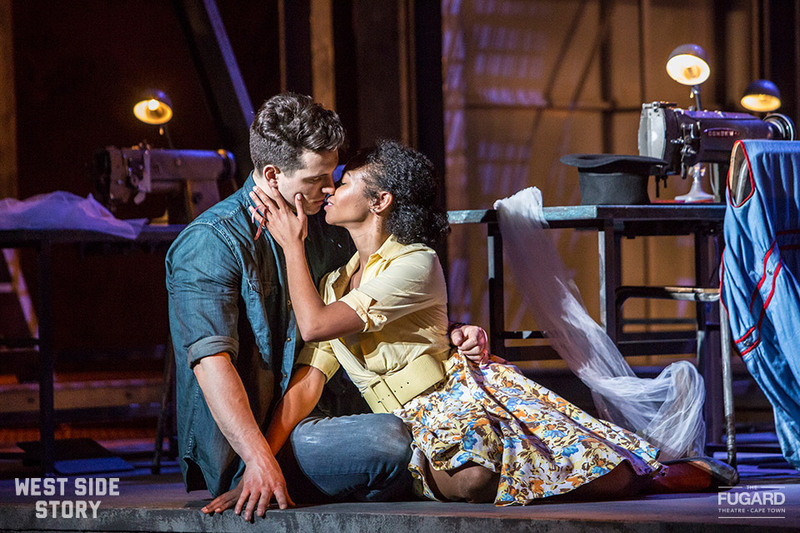 With a full orchestra and an outstanding cast of forty, West Side Story is once again set to sweep Capetonians off their feet. After a sold-out season at Pieter Toerien's Montecasino Studio, the newest Pieter-Dirk Uys show will be presented at the Fugard Theatre in August. Sometimes politics repeats itself, not only taking history and turning it into farce, but taking farce and turning into the fake news which is now called entertainment. Pieter-Dirk Uys is sorting out 40 years of distress, disguise and disgust: from apartheid to tripartite, from amandla to Nkandla. Wigs, glasses, wagging fingers, toyi-toyis, red berets, trump cards of madness, icons and aikonas. From Bezuidenhouts, Raubenheimers and Ramaphosas to Altzheimers. At a time when a casual greeting or embrace can be seen as racist or harassment, the advice is simple: when in doubt say darling. If you can't remember their names, just say darling. If you get lost along the road to somewhere, simply ask for Darling. He did it, and now Pieter-Dirk Uys also lives in Darling. Join him and many darlings in this minefield of hashtags and hatespeech, on an exciting walk to the edge of the next cliff, when the end of the world seems nigh. It used to be called a sunset but here's a secret: the sun will also rise tomorrow, darling. 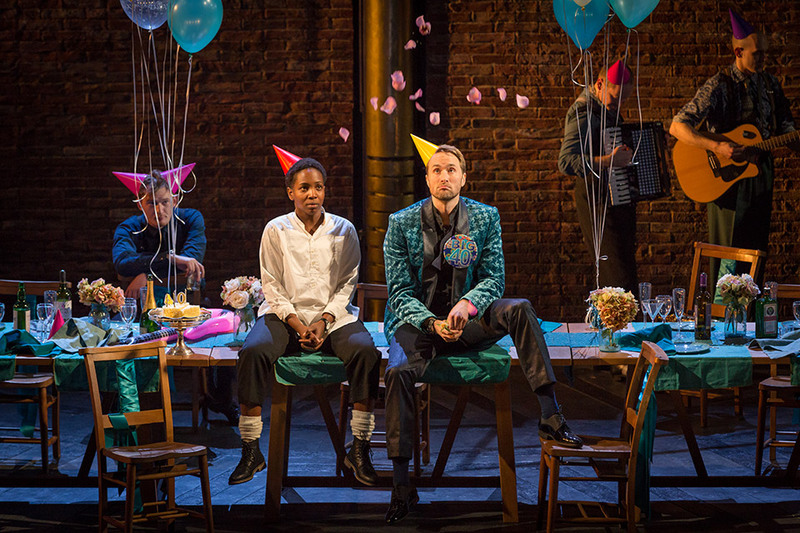 Please note: Latecomers will not be admitted until a suitable break or interval. 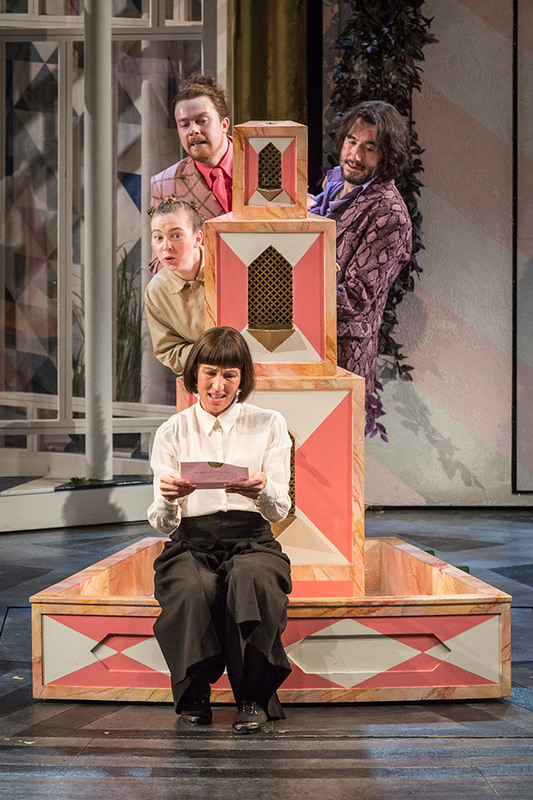 Access to The Studio Theatre is via two flights of stairs, if assistance is required kindly enquire at the box office. 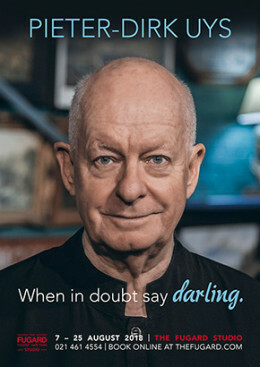 Pieter-Dirk Uys’ newest show, When in doubt say darling, sold out as it opened at the Fugard Studio Theatre in August this year, creating an unprecedented demand for tickets. 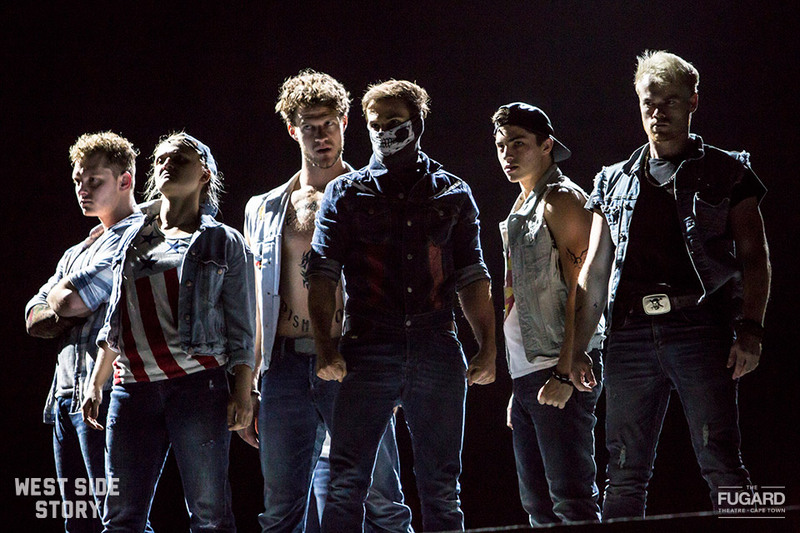 The show now returns to the same venue on 27 November by popular demand. At a time when a casual greeting or embrace can be seen as racist or harassment, the advice is simple: when in doubt say ‘darling'. If you can't remember their names, just say 'darling’. If you get lost along the road to somewhere, simply ask for Darling. He did it, and now Pieter-Dirk Uys also lives in Darling. In this production, Pieter-Dirk Uys sorts out 40 years of distress, disguise and disgust: from apartheid to tripartite, from amandla to Nkandla. Wigs, glasses, wagging fingers, toyi-toyis, red berets, trump cards of madness, icons and aikonas. From Bezuidenhouts, Raubenheimers and Ramaphosas to Altzheimers. Sometimes politics repeats itself, not only taking history and turning it into farce, but taking farce and turning into the fake news which is now called entertainment. Join Pieter-Dirk Uys and many darlings on an exciting walk to the edge of the next cliff, when the end of the world seems nigh. It used to be called a sunset. Here's a secret: the sun will also rise tomorrow, darling. Zolani Mahola, the lead vocalist for the band Freshlyground, will be appearing in her first theatre reading for a play written for her by a French writer, Eudes Panel. The play is set in a southern country and expresses a feminine, brave and humane perspective on the challenges faced by the health system. It focuses on HIV/Aids and the “civil” diseases attached to it, i.e. political cowardice, social stigmatization, fear, beliefs and ignorance. 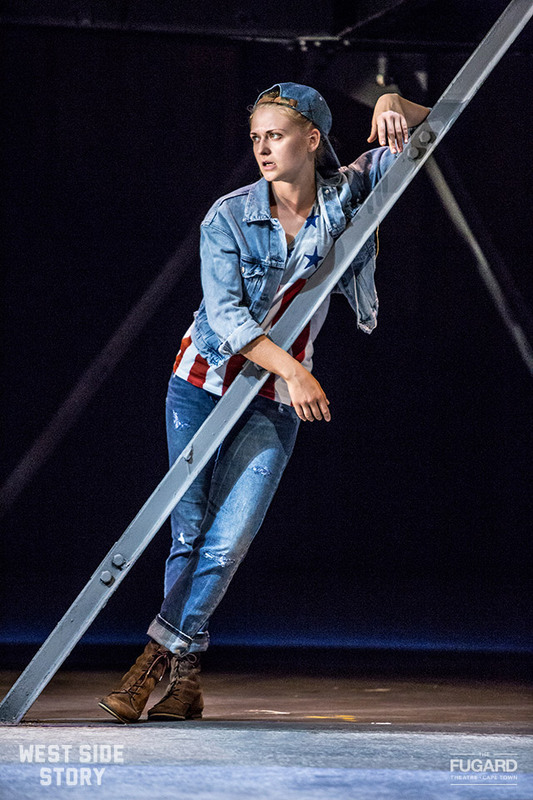 The play also explores the male dominance of the world and invites us to think different about the only other alternative, which is feminine. Mr. Panel continuously reminds us of the constant possibility of forgiveness, love and the gift of life. The style of writing in its candor is reminiscent of the great American writer Phillip Roth.